Today CouponBuzz.com announced a Wolf Camera coupon for $100 off in instant savings on the Canon EOS 60D Digital SLR Camera. 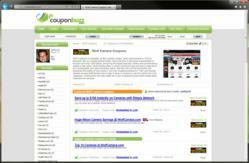 The special offer is featured in their recently launched section dedicated to coupons and special offers from WolfCamera.com. Respected as one of the premier camera brands on the market today, Canon cameras are the tool of choice for both amateur and professional photographers. In addition to the Canon EOS 60D camera included in the special offer, WolfCamera.com offers a complete line of services and products to meet every photography and video-recording need. Using an Canon camera is an incredible photographic experience. The Wolf Camera coupons available on CouponBuzz.com today offer $100 in instant savings for a variety of Canon EOS digital cameras. The top featured camera, the Canon EOS 60D Digital SLR Camera, combines an 18.0 megapixel CMOS sensor and DIGIC 4 Imaging Processor for high image quality and speed, as well as enhanced detail. It has improved ISO capabilities (100-6400) to enable users to capture images even in dim lighting. And the LCD monitor, the first of its kind for an EOS camera simplifies low and high angle viewing. In-camera creative options and filters enhance the shooting experience, and provide impressive works of art with the click of a button. And all the images can be viewed larger than life on an HDTV via the HDMI output. Finally, the Canon EOS 60D utilizes SD, SDHC and SDXC memory cards. These popular and inexpensive cards enable digital storage that is simple to purchase and upgrade, and available in increasingly large capacities.